Big ups to those you who tuned into the show last night. And extra big ups to Lebrosk for such an awesome guest mix. I’ve had plenty of positive feedback for it so I’m glad so many of you enjoyed it too. I’m very honoured to have been asked by the guys over at Rebel Bass to knock together an exclusive guest mix for their ace website, and here it is! It’s crammed with my usual selection of fresh, bassy house joints from stables such as Dirtybird, This Ain’t Bristol and Get Physical and featuring cuts from the likes of Walker & Royce, Riva Starr, Redlight, DJ Pierre and loads more! While you’re having an explore, make sure you check out the rest of the awesome content over at WeAreRebelBass.com where you can find all sorts of excellent beats, mixes and news of a bassy nature. PS. I hope this will make up for my recent absence on the radio! I’ll be back on NSB Radio soon, don’t worry! I’d like to say a big thank you to Johnny Hunter for having me on his show on Friday night. And a special thanks to all of you who tuned in. I hope you enjoyed the beats. Alrighty, that’s it for now. Thanks again for your support gang, it’s much appreciated. Barely a few days after my latest show on NSB Radio, and much like a London bus, when hardly any are around then all of a sudden two come at once, I’m very pleased to announce my guest mix ‘arrival’, more or less on time, on the mighty HeadFunk Sessions hosted by ace DJ and all round top lad Johnny Hunter on Music Box Radio. It’s a banging mix, if I do say so myself, crammed with tasty beats from the realms of dirty house, breaks and techno – so a little something for everyone. And the rest of the show will be unmissable, packed with Johnny’s signature beats and bass. Make sure you catch The HeadFunk Sessions with Johnny Hunter this Friday, 30th June @ 9pm UK time, on Music Box Radio. Don’t worry if you can’t tune in live because the show will be available to stream & download afterwards. I’ll post details about that after it’s broadcast. Big ups everyone, I hope you enjoy the show. Make sure you give Johnny a like on Facebook and a follow on Twitter too. Hey gang. Big ups to those of you who tuned in last night. Extra big ups to Lebrosk for his excellent mixing skills in our mix collab. Thanks for all the feedback I’ve had for the mix, I’m glad so many of you enjoyed it. Hi gang. 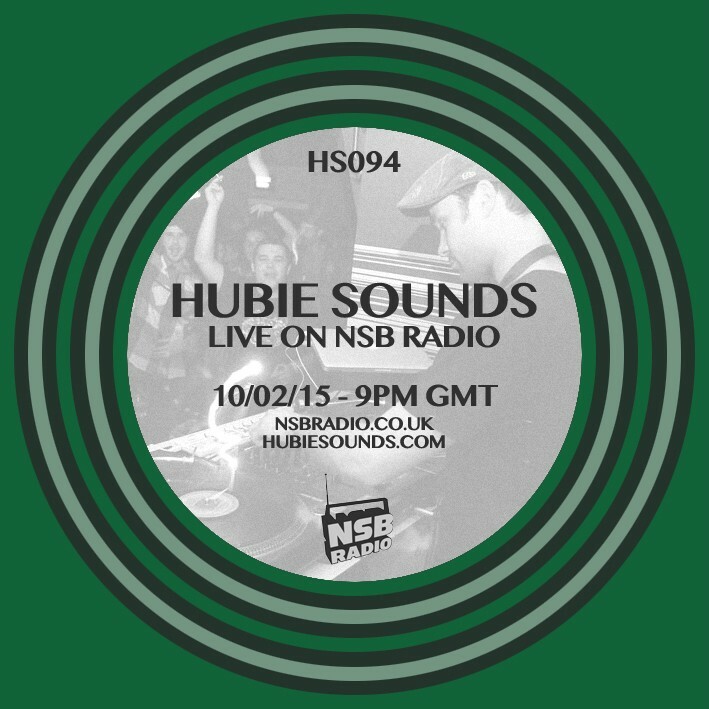 Thanks for tuning into my 100th show on NSB Radio last night, I hope you enjoyed the celebration! Special big ups to all my guest DJs for an excellent set of mixes, they were all top notch, I’m sure you’ll agree. Big ups everyone. Thanks for all your support over the past 100 shows. Here’s to another 100! Top of the bill is a cracking mash up mix of bonafide breakbeat classics, including plenty of your favourites from down the years, by Ghetto Funk‘s king of the beats Pimpsoul. I’m honoured to present a return to the NSB Radio airwaves for the Higheels Sessions‘ legendary lothario Mjoogoo, with a mix of classic house and techno bangers. I’ve also got a beautiful, disco-infused breaks and house session from Rockit Science‘s main man DJ Ryu that’s guaranteed to fulfill all your funky needs. My fourth guest is my good mate and Bank of Switches head honcho Big Nick D with a fantastic electro workout that should get all of your bodies popping. And last but by no means least is the one and only Funkbudha, who has the honour of being the first ever guest on a Hubie Sounds show, way back in the Brap FM days, with a filthy mix jam packed with fresh, ripe jungle beats. I’ll also see if I can squeeze in a tune or two of my own! There’s definitely going to be plenty of variety for your lovely ears. 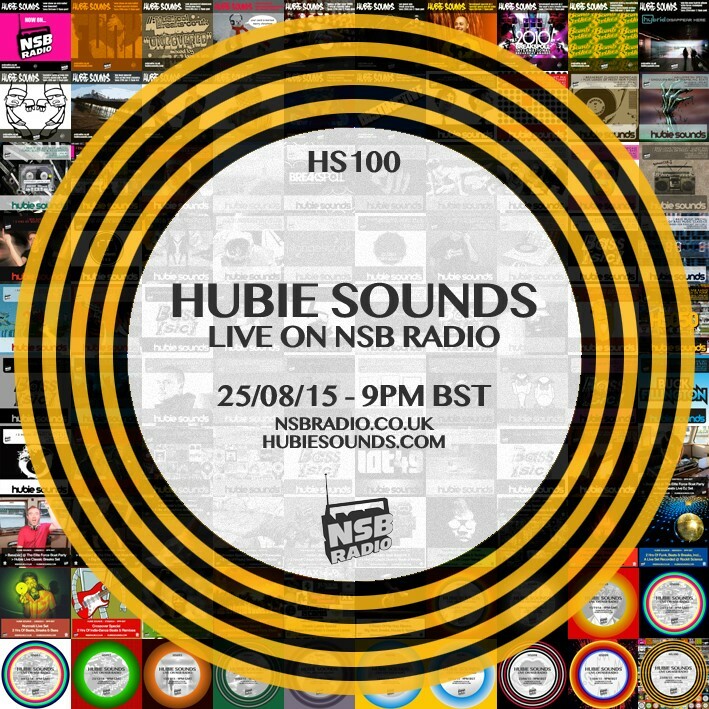 Hubie Sounds 100 – Tuesday 25th August @ 9pm BST – live and direct on NSB Radio! Make sure you come and say ‘hi’ in the NSB Radio Chatroom! Hi everyone. I’m back from my little jaunt down under and tonight I will be presenting a brand spanking new edition of Hubie Sounds chock full of lovely musics. This time I’ve got another cracking guest mix to present to you, from the very excellent Ali Mobius. Breaks heads will remember Mobius’ filthy breakbeat creations released on labels such as Dusted Breaks, Ape and Re:Connect, to name but a few. The lads are also no strangers to NSB Radio, having presented a regular show on the station for many years. Nowadays Ali Mobius is flying solo and experimenting with a variety of new sounds from a more housey spectrum and tonight’s guest mix will showcase a lot of the new sounds that Ali is feeling at the moment. I’m sure you’re all gonna love it. As well as tonight’s guest mix, I will be spinning my usual selection of funk, hip hop, breaks and house for your lovely ears. 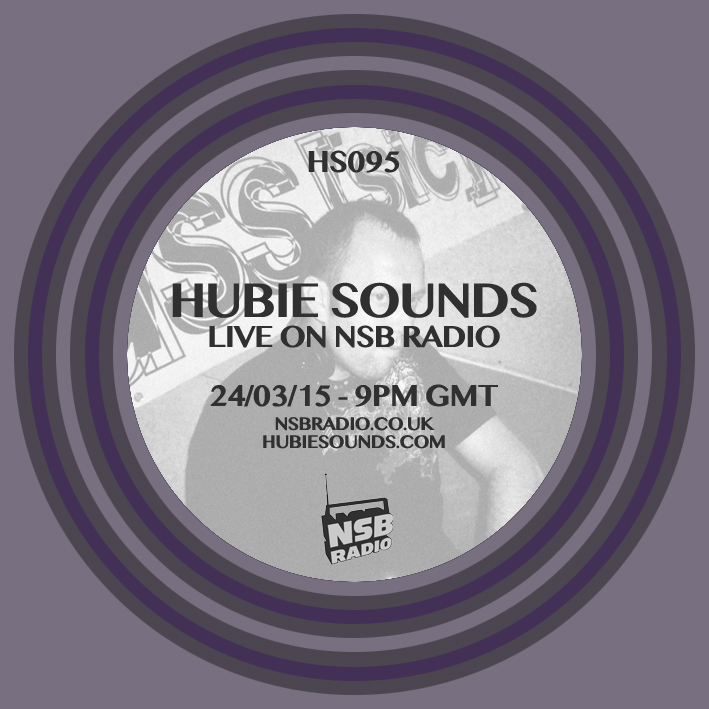 Hubie Sounds 095 – Tuesday 24th March @ 9pm GMT – live and direct on NSB Radio! Hi everybody. Last night’s show was lots of fun, big ups to those of you who tuned in. Extra special big ups to Lebrosk for his cracking guest mix which went down a storm with a lot of you. Thanks for all of your feedback. I’ll be taking a short break from the radio as I head off down under for a little while. As ever, keep an eye on this website for all the updates as they happen.